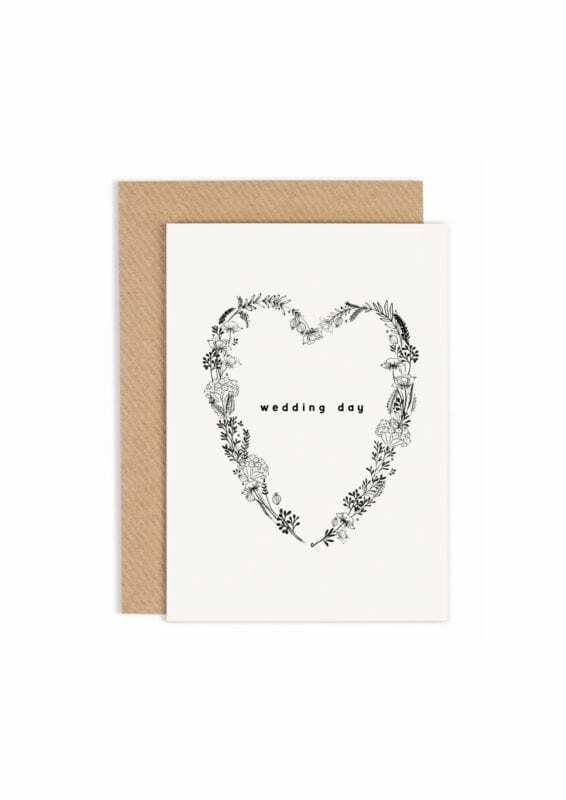 Wedding Day greeting card with floral heart surround. Individually printed on premium card and hand finished. SKU: N/A. 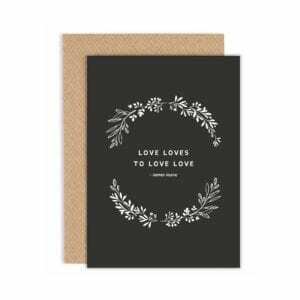 Availability: In stock Size: N/A Category: Wedding Cards. 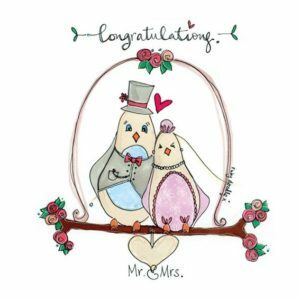 ‘Wedding Day’ greeting card. Illustrated with delicate floral heart. 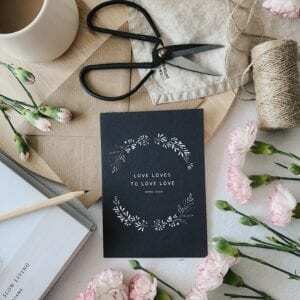 A beautiful wedding day wishes card for a loved ones wedding day and left blank inside for you to add your own personal message. We pack all our greeting cards in a protective cellophane sleeve and also ship flat in a large envelope with rigid backing to avoid damage. Orders are ready to ship within 1-3 business days. 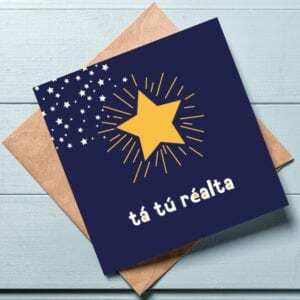 Please allow 2-3 business days for delivery to Ireland and Northern Ireland, 3-5 business days for delivery to Europe and 5-7 business days for everywhere else. Also please note that delivery aims are based on information provided by An Post, Irish Mail service. All orders sent via standard An Post.